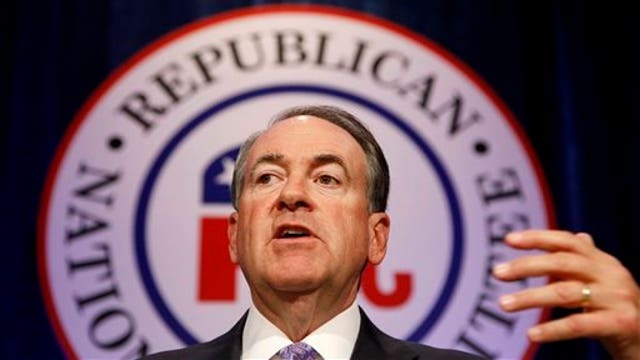 Former Governor Mike Huckabee, (R-Ark), weighs in on the state of Social Security. In an interview on FOX Business Network&apos;s Cavuto: Coast to Coast in Florida today, Presidential hopeful and former Governor Mike Huckabee from Arkansas sounded off on social security. “I think a lot of people don’t know that 60 million Americans are getting social security,” says Huckabee. “If you start telling them, by the way, we lied to you, we took the money all those years that you worked, you didn’t have any say in it, we involuntarily extracted it from your pay and told you it was going to be there, but we didn’t do a good job of taking care of it." Huckabee says let’s grow the economy, there’s an idea for you. “And let’s change the manner in which you fund social security." Huckabee states that changes are needed to be made as people are coming into the workforce. He also has an idea for getting social security payments. “Here is something I would take, give me this option: At age 65, instead of a long-term social security payout, give me a one-time cash out benefit tax free. I walk away, the government walks away, then that’s my choice, let me have that choice.